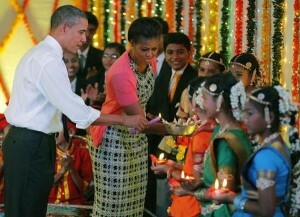 Come Diwali, it is celebration for Hindus all over the world. This festival is grandly celebrated in Indian subcontinent that is highly populated with Hindus, in fact India is the land of Hindus, from where this religion is originated. So, what exactly is Diwali festival? Read further to know more about this interesting Hindu festival which is equally popular among the non-Hindus as well. Diwali is also known as ‘festival of lights’. The joy of Diwali is limited to a single day as Diwali is a 5 day long festival celebrated in Hindu households. 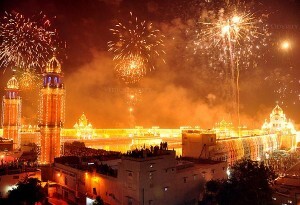 Diwali is, undoubtedly, one of the most popular festival of the year for Hindus. Come Diwali, families come together and rejoice in performing traditional activities all together in their beautifully decorated homes. Not only Hindus, even Jains also celebrate Diwali. To them this days marks the attainment of Nirvana or Moksha by their guru and founder Mahavira in the year 527 B.C. Another religious faction, Arya Samjists, celebrate this day to commemorate the death anniversary of their guru and founder Swami Dyanand Saraswati. They observe the day of Diwali as Shardiya Nav-Shasyeshti. 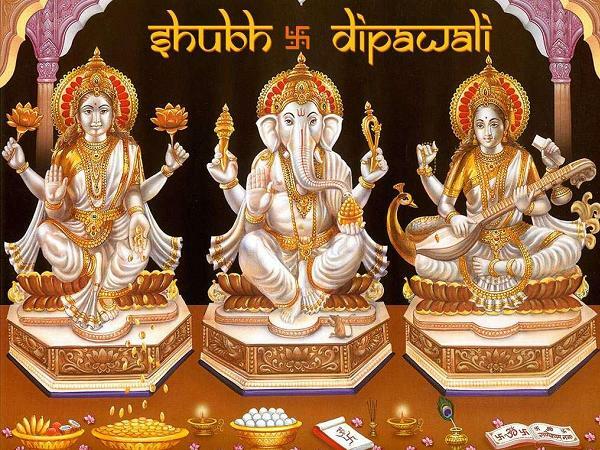 Diwali the name is originated from the Sanskrit word Deepavali. This Sanskrit word literally translates to mean ‘row of lamps’. on Diwali day, small clay lamps that are filled with oil are lit. These clay lamps are known as ‘dipa’ in Sanskrit. 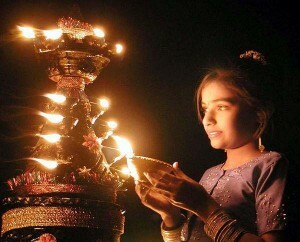 Lighting of such lamps on Diwali day denotes the triumph of good over evil, the thriving of light over darkness. Hindu goddess of wealth is Lakshmi and to welcome her, houses are cleaned during Diwali and lamps are lit all through the night. Firecrackers are burst during Diwali festival. People believe that this will drive away evil spirits. In countries like Sri Lanka, Nepal, Mauritius, Myanmar, Guyana, Malaysia, Singapore, Fiji, Suriname, Trinidad & Tobago, and, needless to say, in India, Diwali festival day is declared an official holiday. History shows that the festival of Diwali as being celebrated in ancient India. In ancient India, it seems that Diwali had been primarily celebrated as harvest festival. There is also a belief that Diwali is celebrated to mark the marriage of Lord Vishnu with Lakshmi, the goddess of wealth. Mother Kali is deemed to be the dark goddess of strength and power in Hindu religion. In west Bengal, an Indian state, Diwali is dedicated to the worship of Mother kali. On Diwali day, the elephant headed God, Ganesha, the Hindu God who symbolizes auspiciousness and wisdom is also worshipped in most of the Hindu households. 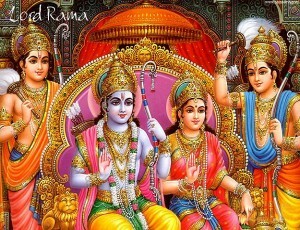 The festival Diwali is related to the great epic Ramayana. In that Lord Rama after vanquishing the demon king Ravana, returns to his kingdom after completing his 14 year exile in forests. As he returns to Ayodhya, his kingdom along with his wife Sita and brother Lakshman, the people of his kingdom rejoice in celebration lighting diyas – lamps and bursting crackers. That celebration is none other than the festival of lights, Diwali. Diwai usually comes somewhere between mid-October and mid-November. Diwali festival is centered around the new moon day of Hindu calendar month Kartik. The couple of weeks before any new moon is traditionally called as the phase of Krishna Paksha meaning dark fortnight. The couple of weeks after the new moon is termed as Shukla Paksha phase. On the thirteenth lunar day of the kirshna paksha phase of the Hindu calendar month Ashwin and ends on Bhaubeej, Dhanteras is celebrated. Diwali celebration also starts just then. Celebrations reach peak on second lunar day of the Shukal paksha phase corresponding to the bright fortnight of hindu calendar month Kartik. Dhanteras and with that the Diwali falls normally eighteen days after Dussehra. In Gregorian calendar, either October or the month of November usually glows with this grand festival of lights. Majority of the Indian business communities begin their financial year on Dhantreas. So, Diwali happens to be an important festival for them. The second day of the 5day long Diwali festival is known as Naraka Chaturdasi. Third day usually falls on Amavasya, the new moon day. On this the goddess of wealth Lakshmi is worshipped to bring prosperity to our lives. 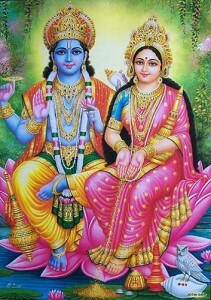 Fourth day of Diwali celebrations is called as Kartika Shuddha Padyami. Yama Divitya is the fifth day. 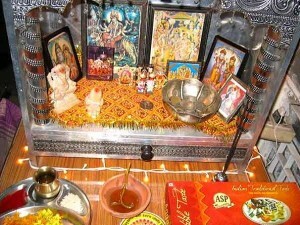 This final day is also known as Bhai Dooj. This fifth day is to celebrate the brotherhood in families. on this day, sisters invite their loving brothers to their homes and treat them with sweets and gifts. 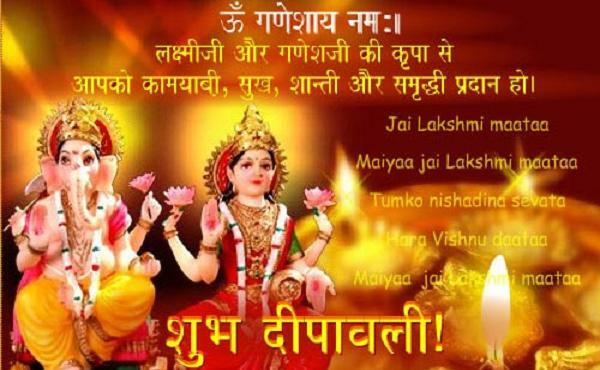 During Diwali festival, though all major gods of Hindu religion are worshipped by the celebrating people, goddess of wealth, Lakshmi is worshipped with a special set of rituals in the form of Lakshmi puja. In most part of India, Diwali denotes the end of harvest season. This is the time for the farmers to express their gratitude and say thanks for the bounty of the year that has gone by. It is also the time to welcome the new year and the new season with desires for wealth and prosperity. In the agrarian cycle, this marks the closure of accounts for the business people. This happens to be the last major festival before the winter arrives. During this time special Lakshmi puja is conducted to evoke the belessings of goddess Lakshmi for the year ahead. There are two legends that associate worship of goddess Lakshmi by Lakshmi puja on Diwali day. According to Hindu kythology, goddess Lakshmi is believed to have emerged from Kshira sagar, the ocean of milk, during the great churning of oceans, Samudhra Marthan. As per the first legend this happens on the Diwali day. What the second legend infers is that, on Diwali day, Lord Vishnu is believed to have come abode heaven back after vanquishing Bali. On this day, Lakshmi is believed to be in good moods as Vishnu arrives to her and whatever desires the devotees express and worship for. get granted by goddess Lakshmi. Vishnu signifies happiness, joy and the satisfaction emerging out of happiness. Indra signifies opulence denoting the satisfaction resulting out of wealth. Gajendra signifies the one who carries the wealth. Lakshmi represents the divine energy which activates all the above aspects. On Diwali day, the above group of five enters this universe and do we have to say that it is the time for real joy and celebration? Come Diwali, it is time of joy and happiness in Hindu households. Though the festival is just for 5 days, the actual preparation begins at least a month ago. Women of the house hold get busy at least a month before the Diwali day making sweets and snacks for the grand festival. Murruku, laddu, seeni urundai and all such mouth watering traditional sweets and savorites are made in large quantities. Families exchange sweets during the time of Diwali. Houses are cleaned before the festival day and decorations are done. Rangoli forms the main element of Diwali decorations. In Indian tradition there is this culture of forming design and patterns on the floor using rice flour. Such designs and patterns are formed using coloured powder for added beauty. They are called Rangoli. Rangoli or those attractive designs and patterns are some times formed using beautiful flowers also. During diwali Rangoli are put especially at the house entrance and pooja room and lamps are lit all aorund. New dresses are bought for Diwali festival for every member in the family. The little ones can hardly wait till Diwai day to wear their new dresses bought for the occasion. Purchase of new clothes for the members of the family start well in advance. Shops bring out new designs and styles for Diwali. Shopping reaches a feverish pitch as Diwali approaches. Malls and shopping complexes flood with enthusiastic people who are eager to make their Diwali purchases. Husbands kill time in wain as they wait for their wives to make their selection of what dress to buy for themselves. Diwali time is also gifting time. Family members buy and give gifts for one another during Diwali. Especially elders are more respected and given gifts and blessings sought from them. Diwali is the time for togetherness. All family members come together for Diwali celebration. Sons working in the other city, and daughters studying in the other town, all come together at their home for a grand Diwali celebration. Diwali is a festival that is looked forward to eagerly by the young and adults alike. Diwali is celebrated all over India irrespective of the existing regional and language differences. Though the ways of celebration slightly differ from state to state. 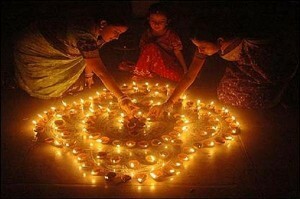 region to region, Diwali is nevertheless celebrated in both North and South India with much joy and happiness. Diwali time is also party time in recent times. Gala parties are held to add more celebration to the traditional festival. Community gathering forms part of Diwali fervor indicating unity and harmony among people. Each day of Diwali celebration has an interesting tale associated with it, if not a story a legend or a myth. According to Hindu mythology, demon Naraka is believed to be vanquished by Lord Krishna and his beloved wife Sathyababa. First day of Diwali is celebrated to mark this. Second day of Diwali is usually a new moon day, Amavasya. Goddess of wealth Lakshmi is believed to be in her most benevolent moods on this day. This day she is worshipped and it is believed that she fulfills the desires of her devotees on this day. Another interesting tale associated with this day of Amavasya is that of lord Vishnu vanquishing the might tyrant Bali. 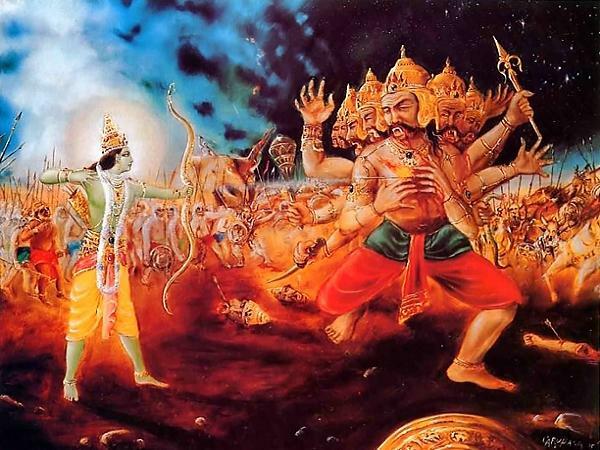 Of his ten incarnations, in the dwarf incarnation as Vamana, Lord Krishna banished Bali to hell. Third day of Diwali marks this myth. It is believed that Bali is allowed to visit this world once a year and that day is Diwali. On this day lamps are lit to wade away darkness and ignorance and to spread the radiance of love and wisdom. On the third day of Diwali, Bali comes out of hell and rule the world with lights and crackers according to the boon given to him by lord Krishna. 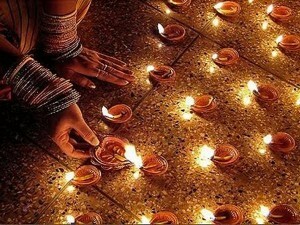 Diwali is celebrated all over the world. In India it is celebrated in villages and cities alike in every part of the nation. India is a country symbolizing unity in diversity. Its states differ in the language its people speak and the culture they follow. But Diwali is one festival uniting all bringing joy to every nook and corner of the nation. On the day of Diwali, though the actual ways of celebration differ from one part of the world to other, people generally wake up very early in the morning. Diwali day is the day of Ganga Snan, the day of head bath. From kids to elderly everybody take head bath on Diwali day. This itself happens to be a traditional Diwai ritual. Applying oil generously, all the members of the family take head bath. After that, all wear the much awaited new dresses. Then all eat Diwali sweets that had been made much fondly and much prior to the festival day. Families share sweets to the neighbors. And everybody has not only the sweets made from their homes but also from a handful of neighbors as well. Comparison of respective tastes is an interesting interlude that is unique and special to the festival of Diwali. Children rush to burst crackers there after. Elders also join the fun. On the whole, Diwali is a festival of not only lights bust also joy, happiness, sharing, togetherness, fun, n frolic.